Love INC exists to mobilize local churches to transform lives and communities in the name of Christ. 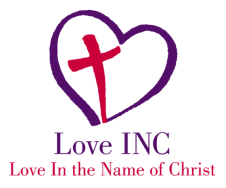 Love INC (In the Name of Christ) was founded in 1977 as a way to encourage churches to become more engaged with the poor and to inspire a greater number of Christians to put their faith in action. Its founder, social worker Dr. Gulker, realized that if churches wanted to best serve their communities, they needed leadership, organization, training, encouragement, and prayer. He developed the Love INC model to fill these critical roles. Love INC taught churches to assess their capabilities. 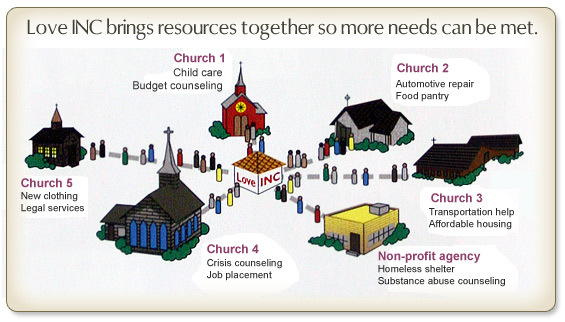 It also unified local congregations so that, working together, they could more effectively help their neighbors. Today Love INC has over 150 affiliates in 30 states, representing a network of more than 9,000 churches, 7,000 community agencies, and nearly 300,000 volunteers meeting more than 1 million needs each year. Love INC partners with local churches to allow church members to volunteer, offer specific services, and support one another in serving the needs of community members. 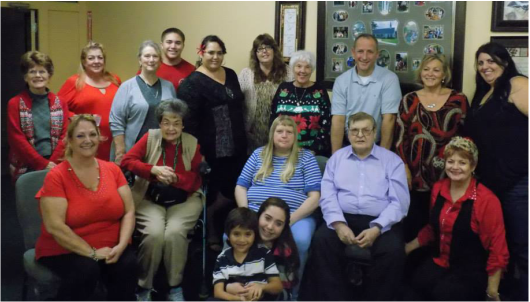 This "clearinghouse" model opens up a wide array of services and relationship opportunities to needy individuals who apply to receive help from Love INC and allows them to meet local Christians who serve in collaboration with Love INC. Prayer is an intricate part of who we are. We value transformation in lives of people and community. We value churches living out the two great commandments to love God and to love their neighbors. Love INC would like to have a Council of Churches as board members. If you would like to apply to join, please call 626-858-3300. Many thanks to all our partner churches!